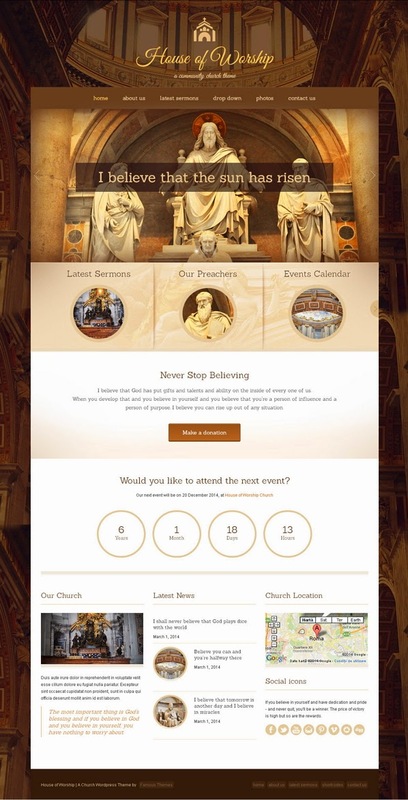 “House Of Worship” is a WordPress theme for church websites, sermons, preachers or religious communities. The theme include dedicated plugins and admin sections created especially for this type of websites. With the custom sermons plugin you can create pages dedicated to sermons and preachers, and add audio, video and PDF support for each one. Custom sermons plugin will allow you to add sermons, preachers. Supports audio, video and PDF. Item Reviewed: New WordPress Theme for Church or Religious Communities Websites 9 out of 10 based on 10 ratings. 9 user reviews.